We offer Electrical Panels Enclosures along with Powder Coating Services and Sound Proof Cabinets. With a significant proficiency in design & standardization, we have streamlined its in house manufacturing of CRCA Electrical Panels Enclosures, to cater to a wide range of Electrical and Instrumentation applications. 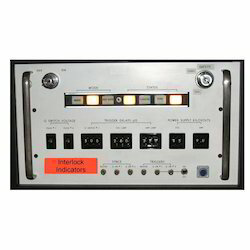 These electrical panel enclosures conform to Industrial standards and are CPRI Type Tested for Ingress protection. Our range of products include control cabinets, distribution boards, operator control desks, modular panels and terminal boxes which are widely used in general electrical control cabinets, power generation and distribution panel building, machine tools and, process industrial applications. Our enclosures are also available in stainless steel to meet the needs of medicinal, pharmaceutical, chemical and marine industrial applications.